In 1933 the original Lucky Bladwin book by C.B. Glasscock was published. 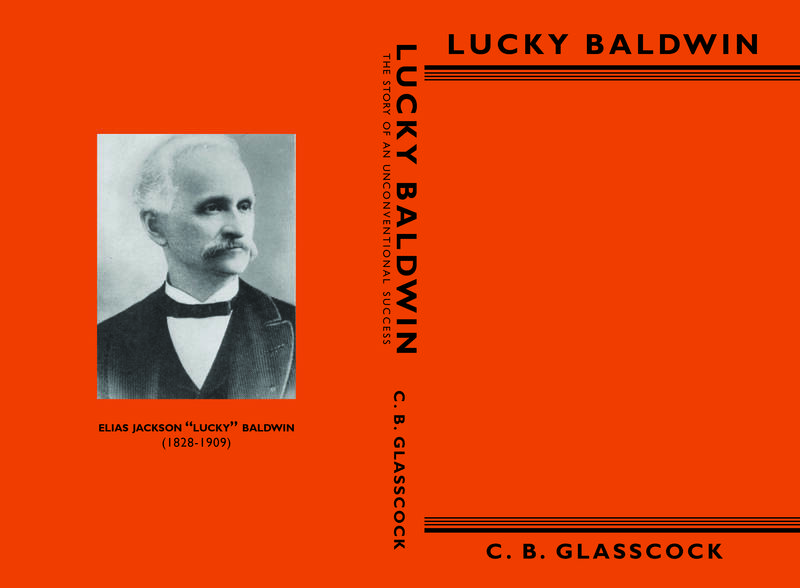 For many years it was republished by Nevada Publications with a forward by Hubbard and was one of the best sellers at the Tallac Historic Site. Several years ago that reprint was discontinued. Tahoe Heritage Foundation obtained the rights to republish the book. In 2012 the digitization was completed and the book was reprinted. It is again available to visitors at the Tallac Histoic Site where it sells for $19.95.